A humidifier is a device that adds humidity in your area in case you live somewhere with a dry climate. It's something that freshens up stale air, in other words. When buying a humidifier of a specific type (like, for example, the best whole house humidifier you can get your hands on), you should choose your humidifier by room size (it can humidify one room or a whole house). ​The size of your house can be as small as two rooms put together (the average cramped apartment) or something as huge as a mansion (necessitating multiple house humidifiers). On that note, here are a couple of things to keep in mind regarding humidifier size and output. Ideal Indoor Humidity: The ideal indoor humidity should be 30% to 50% humid, for your information. However, without assistance in humidification, that level can drop to 10% humid during winter. There's less moisture to be had from cold air. It gets even worse when you heat your place up with wood fires or furnaces. Measure the Square Footage of the Room or House: Determining the humidifier size is all about measuring the square footage of the room or house then matching that size with the appropriate humidifier. You can also shop for different styles and balancing out your budgets with the right efficiency, benefits, drawbacks, convenience, and other trade-offs. Humidifiers for Small to Medium Rooms: A small humidifier can humidify an area of up to 300 square feet. A medium humidifier can instead humidify rooms sized 300 square feet to 499 square feet. These are portable or tabletop devices that are the most affordable ones available. However, their small tanks need constant refills in order to work best. Make sure the height of your faucet can accommodate the refill tank of your small-to-medium humidifier. Warm-mist tabletop models can make little or not noise beyond hissing and boiling. Humidifiers for Large Rooms or for Small Houses: Humidifiers for a small house or a large room that's 500 to 999 square feet are called console models. They're obviously larger than their tabletop counterparts and can be moved from room to room. They generate loads of moist air whether they're ultrasonic or evaporative. Ultrasonic humidifiers are also known for their quietness because they use a vibrating nebulizer instead of a noisy fan. Humidifiers for Large Houses: These extra-large humidifiers can humidify spaces that are 1,000 feet or more. They're typically used for factories, warehouses, and mansions. Buy an ultrasonic model for large-area humidifiers to minimize noise. You can also buy an evaporative model and place it somewhere in your home that's away from the bedroom and other sleeping areas (since they're quite loud when turned on). The tank of this console requires fewer refills but it's harder to move thanks to its size. ​Aside from size output, there are other humidifier categories to take into consideration. Choosing between them depends on your personal taste. Their price range can go from as little as tens to as much as thousands of dollar. They make moisture by heating water to a boil then emitting the resulting vapor. So the mist they make is essentially steam or hot water vapor. Some steam humidifiers include mineral filters for the sake of trapping water deposits. They're not as expensive to replace but they need constant changing, so factor maintenance cost into the equation as well. Pediatricians advise against using these humidifiers near children due to burn risks. Cool mist humidifiers come in three different subcategories, which are impeller, ultrasonic, and evaporative. The thing they have in common is that they create a fine mist or spray of water to add humidity or moisture to a given room or house. Impeller: Impeller models create mist through a rotating disk (so it comes off more like a fine spray of water). Ultrasonic: The ultra-quiet ultrasonic humidifiers emit water through a vibrating nebulizer (like the ones used for asthma nebulization). Evaporative: Evaporative models use a wet wick that's blown with air using a fan. Every replacement wick costs around $10 depending on the model you're using. ​If you want to dehumidify the whole house and you have a forced-air heating system, then this is the humidifier you should avail of. They're plumbed into your home water supply and tapped into the air ducts, thus they necessitate professional installation. 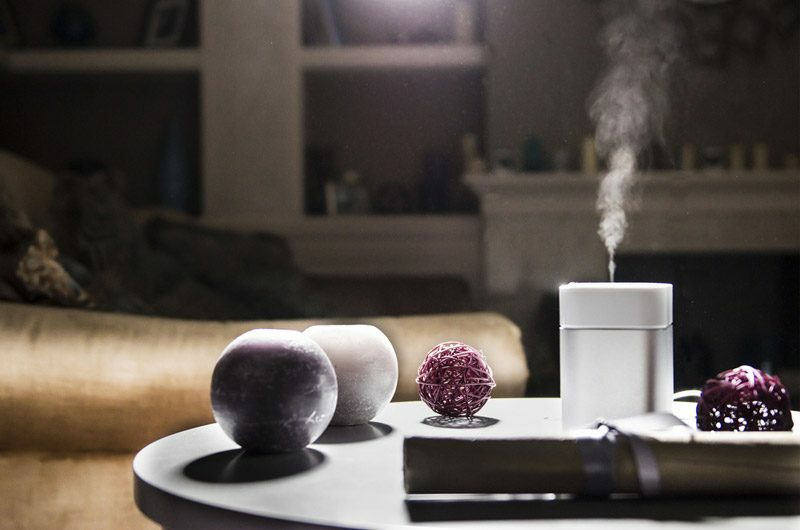 Without further ado, here are five humidifiers you should check out. Aprilaire is one of those appliance brands that are practically synonymous with their best-selling products. With Xerox, it's their photocopiers. With Hoover, it's definitely their vacuum cleaners. And with Aprilaire, it's their humidifiers that collectively serve as their main claim to fame. The Aprilaire 500 Humidifier specifically has, in my estimation, winning specs in terms of its outdoor sensor, 110V to 24V transformer, water pad, built-in bypass damper, and auto digital control. It streamlines humidification of your home as part of your HVAC setup. Just remember that it's not a DIY kind of installation and requires pros to do it for you. It takes about 4-5 hours to complete the installation for non-HVAC professionals, but most homeowners don't have the patience to do this. At any rate, the Aprilaire 500 Humidifier has every last feature needed to make to work on its own without constant interference on your behalf. It's practically self-maintaining with a transformer tat keeps tabs with its voltage, its outdoor sensor measuring the amount of humidity, and auto digital control that lets it humidify on its own while turned on. 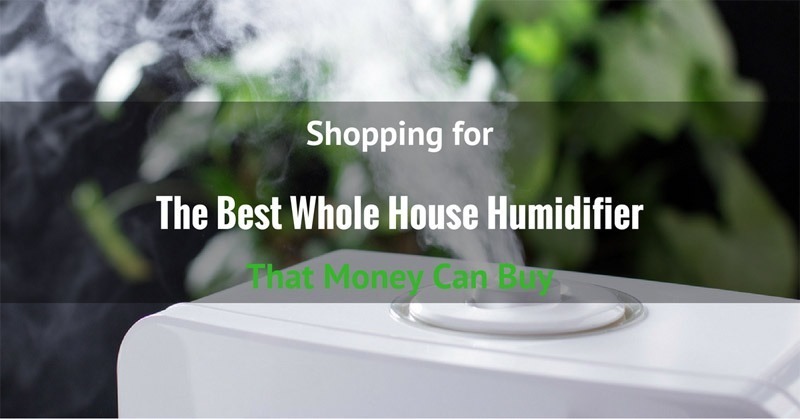 It's also undoubtedly a large-home humidifier in light of its coverage of 3,000 square feet. I can even confirm that it has a 0.5 GPH evaporative rate and 3.0 GPH water feed rate judging by its water consumption and the resulting freshness of my home after using it. In regards to AIRCARE MA1201, I've installed my share of this machine and talked to people who have them. This is a console-type humidifier with an even bigger humidifying area of 3,600 square feet, so if your home is about that large you should probably this rather than the Aprilaire 500 Humidifier (or get an Aprilaire model with a similar coverage). It also has a digital humidistat that keeps tabs with the humidity of the air that you can preset so that it maintains the amount of humidity you're most comfortable with using the digital accuracy of a computer. Like your fridge, once it reaches the desired humidity level, it automatically shuts off. It also does this when the unit's tank is empty so as to conserve energy. In regards to cleanup, it's easy to clean and has a replaceable evaporative wick that acts as a filter for mineral deposit. It doesn't have wheels, pulleys, or belts, ensuring smooth operation as well. The reason why I'd recommend this over the Aprilaire isn't only because it has an extra 600 square feet of coverage. It's also because it's capable of raising humidity levels to 43% and above, thus making your air feel fresher and mild. It also claims to render 86% of the flu virus moot. From what I've heard from AIRCARE-humidified homes, it does seem like there's a reduced occurrence of flu from them (but this is anecdotal evidence). The desktop-computer-like appearance of the black-colored "Espresso" model AIRCARE EP9 800 is significantly different from the air-conditioner vibes coming forth from the AIRCARE MA1201. However, their differences are more than "skin" deep. This is a pedestal-style humidifier with a lower-grade reach of 2,400 square feet but still enough to cover most houses. It's a lot more moveable than its MA1201 counterpart but both are digitally accurate when it comes to maintaining a desired humidity level that you yourself have set (unless you went with factory settings). Its tower style allows it to be big yet still fit most corners or nooks and crannies when finding a place to place it. It also has a digital readout so you can keep tabs on the actual humidity level and other settings you can tinker with (like fan speed, desired humidity level, and so forth). Speaking of fan speed, if you want to vary the speed of the spread of humidity, you can pick among 9 fan speeds to dictate the performance level of your AIRCARE EP9 800. Finally, it's also capable of conserving energy with its auto shut-off feature that's the standard for many AirCare humidifiers (wherein when the unit is empty or a desired humidity level is reached, it will turn off on its own until there's variance in the humidity yet again). This is yet another common AIRCARE unit I have no complaints about. Here's another smaller-reach unit that trades off its square feet reach in favor of being more portable as a console humidifier. It has a reach of 2,300 square feet or about 100 square feet short of what the AIRCARE EP9 800 is capable of reaching. It's known for its quietness as a cool mist humidifier of sorts. It also has an output of 9 gallons a day and it can run up to a whole day or 24 hours per filling. It's 30% quieter than other tower models like AirCare EP9 800 to boot and has air-washing filtration features relating to trapping pollen, dirt, and dust. Its antimicrobial filter (HC-14 replacement filters are needed when replacing it) helps deal with bacteria, algae, fungus, and mold during winter season or in cold climates. Meanwhile, its humidity control is more simplified than its peers, such that you can switch between three moisture settings instead. It does have downsides though. It claims to be quiet but there are times (and complaints from users) where it would vibrate or rattle right out of the box. You can utilize rubber bands to keep its shaking down, but it's better to make sure the fan sits snugly in the base unit. Just contact the right repairman or maintenance expert to correct the fan problem and you should get rid of the noise real quick. Last but not least is the Aprilaire 700 Automatic Humidifier, which has a whopping 4,200 square feet of coverage. Compared to the Aprilaire 500 and its coverage of 3,000 square feet, the Aprilaire 700 is an even heavier duty version of its 500 counterpart or even other comparable humidifiers (like the AIRCARE MA1201 and its 3,600 square feet coverage). This is definitely the kind of humidifier you should get to freshen up the air in factories, warehouses, and any large spaces (like condominiums or mansions). It's the choice for large-sized homes in light of its specs. I know a guy who has this and his whole indoor property feels fresh all around. Not one area feels stale even with the windows closed and the heater on due to coldness. As for its other specs, the Aprilaire 700 passes with flying colors too, delivering up to 50% more moisture compared to similarly priced units with the same area coverage. It has all the trimmings of the Aprilaire 500 but with bigger coverage, so it has more advanced tweaks and extra services included like relative humidity and temperature indicators as well as a manual mode in order to give you, the consumer, more of a say on how humid you want your house to be across the board. Just remember to have this whole house in-duct humidifier installed by the pros to save yourself hours of research and utility-damaging trial and error. Err on the side of caution. When choosing a whole house humidifier, make sure they're easy to clean and maintain for your own sanity. You should also hire a professional company to do clean-air tests on them since humidifiers by nature can harbor bacteria if left unclean for too long. 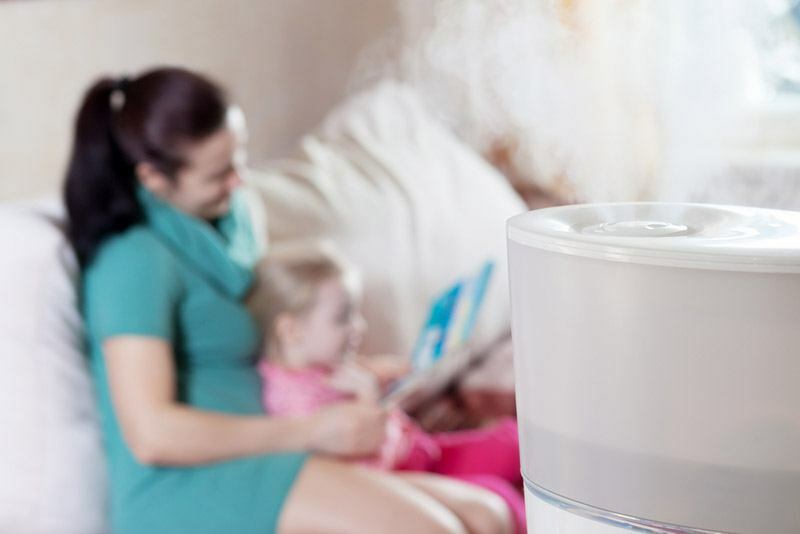 Your humidifier can put you at a health risk if you're not careful in maintaining it.